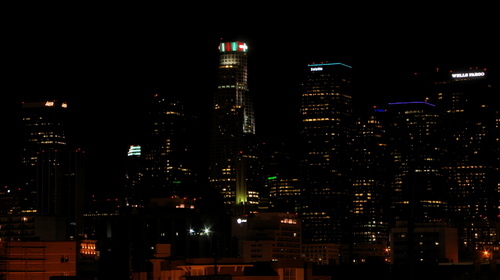 The US Bank Tower going green and red is one of the many ways the City and the County brings in the Holiday season to Los Angeles. More Lights: 9th District Councilwoman Jan Perry will join family and friends of Triforium Artist Joesph Young at Los Angeles City Mall on Tuesday November 27 from 4:30 pm to 7:30 pm. 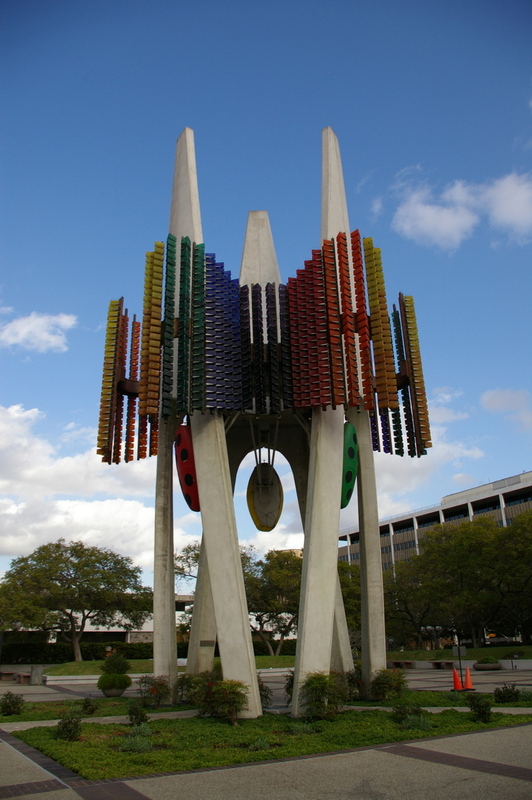 Yes, it is to honor the 1970s era musical sculpture. The 11 thank you back: Former "The Tonight Show With Jay Leno" comedy writer Brad Dickson wrote "My L.A. thank-you list" for the LATimes Opinion section. One offering of thanks is: "I am thankful nearly every newspaper and magazine in Los Angeles covers the downtown residential scene so thoroughly, as I am learning so much about the 11 people who dwell there." A Red Line Ride Away: The Santa Claus Lane Parade Hollywood Christmas Parade Hollywood Santa Parade will have it’s first tour as a production of the City Of LA this Sunday, November 25 at 5pm . If you remember, when the Hollywood Chamber of Commerce announced that it was canceling the parade, Team Santa (Councilmembers Eric Garcetti and Tom LaBonge) stepped in and somehow made the parade happen for the 76th time. 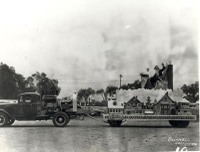 You didn't miss it: The Doo Dah Parade in Pasadena, a pre-Thanksgiving weekend tradition, has been moved to January 20th. I would say go the website that I found fun to read last night, but as of now it's down with the message: "'the account is suspended." Must be a Doo Dah touch. 2007 DWP Holiday Light Festival. From now until the 25th, you can only walk the lit Griffith Park route. After that you can go your car, but you will find yourself stuck in traffic far away from the lights. Welcome to The Festival of Darkness. Shopping: Lincoln Heights correspondent El Chavo does some intense consumer reporting at the Lincoln Mini-Mall. 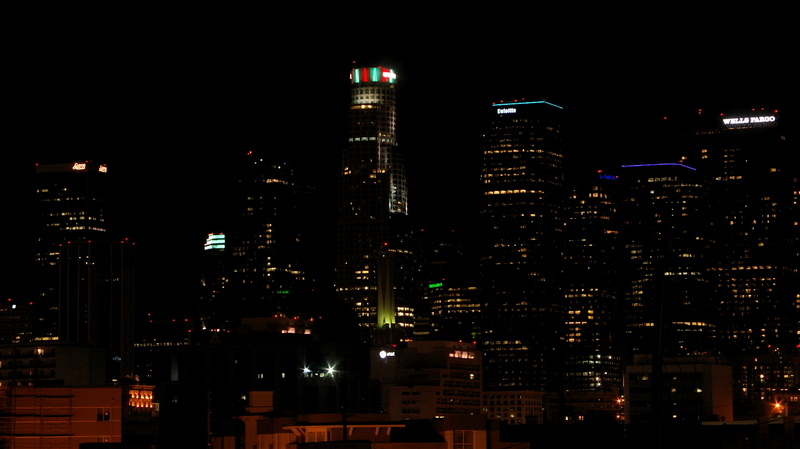 "Black Friday Report"
Pictured: Downtown skyline as seen tonight, the Triforium earlier in the year, and the first Santa Claus Lane Parade "float" circa 1931.